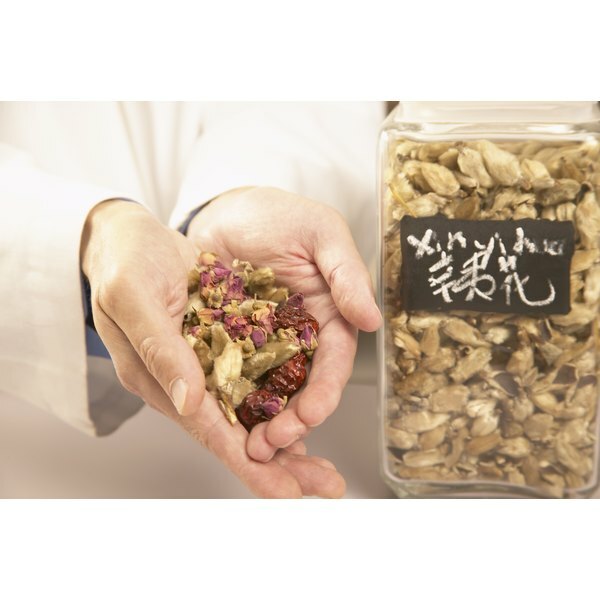 A mainstay of traditional Chinese medicine for centuries, astragalus is a herbal remedy derived from the dried roots of Astragalus membranaceus, a low-growing plant native to northern and eastern China. Used by itself and in combination with other herbal remedies, astragalus is reputedly versatile in its medicinal properties, earning it a reputation as an adaptogen, a substance that can help your body resist the debilitating effects of stress. Modern research has produced evidence that points to a number of health benefits for astragalus. Much of the damage caused by stroke occurs when brain tissue, temporarily deprived of oxygen-carrying blood, suddenly has circulation restored. This sets off an inflammatory response that can cause lasting damage to nerve cells. Researchers at China’s Hunan University of Chinese Medicine conducted an animal study to determine whether treatment with astragalus extract could reduce the level of damage caused by the return of blood flow to brain tissue that had been temporarily deprived of it. In the April 2012 issue of “Biological & Pharmaceutical Bulletin,” researchers reported that animals treated with astragalus showed significantly greater nerve cell survival and a reduced level of cell death in the wake of restored blood flow after a laboratory-simulated stroke scenario. Astragalus is an active ingredient in a food supplement marketed in Croatia and elsewhere as Lectranal. A team of Croatian researchers conducted a small-scale clinical study to evaluate the efficacy of the supplement as a treatment for seasonal allergic rhinitis, sometimes known as hay fever. Researchers assembled a study group of 48 patients with moderate to severe SAR. Some were treated with the astragalus supplement, while others received a placebo. At the conclusion of the six-week trial, both researchers and patients concluded that the supplement provided significant relief from SAR symptoms, particularly runny nose. Writing in the February 2010 issue of “Phytotherapy Research,” researchers said their findings warrant larger-scale studies into the potential of this astragalus-based supplement as a treatment for SAR. Chinese researchers conducted a clinical study to evaluate the effectiveness of astragalus in improving the quality of life in patients with chronic heart failure. Researchers divided a study group of 90 patients diagnosed with CHF into three subgroups, each of which was given oral doses of astragalus of varying strengths twice daily. After 30 days, patients in all three groups showed improvements in heart function grades, compared with levels measured prior to the study. Patients who got medium and high doses of astragalus showed significantly more improvement than those who received low doses. In an article in the February 2011 issue of “Chinese Journal of Integrative Medicine,” researchers said their findings indicate that astragalus at moderate doses is sufficient to produce an optimal improvement in heart contraction. One avenue of research into cancer treatment has focused on finding substances that inhibit human cancer cells’ ability to spread by cutting off or sharply limiting their access to the blood supply they need to survive and proliferate. Researchers at Hong Kong Baptist University’s School of Chinese Medicine studied in vitro the effects of saponins -- substances that produce a soapy lather when shaken with water -- from astragalus on human gastric cancer cells. In an article in the June 2012 issue of “Journal of Ethnopharmacology,” researchers said their findings show that astragalus saponins have the potential to be developed into a chemotherapeutic agent for the treatment of advanced and metastatic gastric cancer. What Does Ginger Tea Do for My Body?